The images flashed on electronic billboards across the Las Vegas strip. The posters stayed plastered on pillars and elevators inside the MGM Grand Hotel. Kobe Bryant looked noticeably absent in the promotion. The Lakers will still honor Bryant in other ways for the 2015-16 campaign in what will mark his 20th and perhaps final NBA season. They will have unspecified tributes for home games. The Lakers will have photos of Bryant on each game ticket. And the Lakers devoted the cover of their 2015-16 media guide to various images of Bryant throughout his 19 seasons donning purple and gold. But as Bryant represents the Lakers’ once glorious past, Russell, Randle and Clarkson represent the Lakers’ hopeful future. The Lakers may enter their season opener against the Minnesota Timberwolves on Wednesday at Staples Center fresh off of two consecutive missed playoff appearances. But those unpleasant finishes indirectly helped the Lakers land Randle (seventh overall in 2014), Clarkson (46th overall in 2014) and Russell (second overall in 2015). Russell, Randle and Clarkson have brushed off such expectations and the ensuing hype, including the Lakers’ promotional poster. In honor of the second-greatest scoring performance in NBA history, Kobe Bryant has created a new challenge for his fans: "The 81-Hour Challenge." The Los Angeles Lakers guard dropped 81 points in a game against the Toronto Raptors back in 2006. Now, Bryant is challenging fans to make as many baskets as they can over the next three-plus days, filming themselves and creating a highlight reel. Fans can send their best highlights to the Black Mamba himself and see if they make the cut when it comes time for him to put together a compilation of fan videos. Any fan who wants to give the challenge a shot can watch highlights of Bryant's incredible performance to draw inspiration. The Lakers have several question marks they will have to answer for the 2015-16 season. But before tipoff begins, a few NBA experts offered some clairvoyance. How will Kobe Bryant do? Anonymous NBA assistant coach: Kobe will be solid. But it’s all about if the Lakers can manage Kobe and not put too much on his shoulders. If they are in a heat of a battle and they’re struggling, then you can see Kobe having anywhere between 25 to 30 attempts a game. But if everyone is doing what they’re supposed to be doing and buying in, I think he’ll stay contained. Can the Lakers make the playoffs? Let’s get the negative out of the way first. Russell is going to be a bad defender as rookie. It is unavoidable. He simply doesn’t have the athleticism to ever become an elite defender, and since rookie guards are often a disaster on that end of the floor (and he was often flatly bad in college), even run-of-the-mill defensive production seems out of the question. However, his offense is going to be awesome right away. D’Angelo Russell was unquestionably the best passer in the 2015 NBA Draft, and that is a trait that often translates immediately. His ball-handling and vision are tremendous, and while the Lakers have a lot of issues with their roster, Los Angeles does boast several players who won’t be shy about finishing Russell’s assists. Per Kevin Garnett's poignant request, the Timberwolves leave an empty seat on the near side of their bench in honor of Flip Saunders. During the game, though, Julius Randle outshines Karl-Anthony Towns, D'Angelo Russell, Andrew Wiggins and Kobe Bryant, and the Lakers open with a 101-93 victory over Minnesota at Staples Center. Afterward, Garnett says: "Randle was playing his first full NBA game? That's already a beast right there." This guy clearly has no idea what he's talking about. Even the biggest Russell hater can see his defense has been the most impressive and consistent part of his game so far. Offensively he's struggled to find his place in the system. Giant steps are needed for a Los Angeles Lakers team trying to find its way back to prominence. In some cases, it’s a matter of developing embryonic talent, and in others, it’s about partaking in the free-agent market. And then there’s the players who seem poised for a breakout season—either the next evolutionary jump in their matriculation process, an improvement from what might have seemed like a lost cause or simply an unexpected gift. Three current members of the purple and gold brigade offer intriguing examples of those potential betterment arcs. The Los Angeles Lakers are waiving guard Jabari Brown, allowing Metta World Peace to make 15-man roster, league sources tell Yahoo. It is so obvious that we need Metta's defense so much more than Jabari's offense. Golden St. score 136 points with both of them on the team. The Lakers open the season Wednesday night at Staples Center against the Minnesota Timberwolves. Will Coach Byron Scott start the second overall pick in June's NBA draft, D'Angelo Russell, or will he bring the guard off the bench? "I don't know that yet," said Scott after the team's practice Monday. "I'm still mulling it over." Scott confirmed the team will open the season with Kobe Bryant, Julius Randle, Roy Hibbert and Jordan Clarkson in the lineup. "I don't know if Clarkson is going to start at the one or at the two," said Scott, who might use rookie Anthony Brown, the 34th overall pick, as the team's fifth starter at small forward. If Russell starts at the point, Bryant would move to small forward to begin his 20th NBA season, with Clarkson at shooting guard. What is Scott's hesitation on committing to the 19-year-old Russell? When the Lakers arrived at the MGM Grand in Las Vegas earlier this month, they were given the sort of welcome typically reserved for prize fighters and pop stars. The hotel and casino was blanketed in signage announcing their preseason game Oct. 13. Fans in team apparel snapped selfies with the gilded lion in the lobby, which was fitted in its own gold Lakers jersey. This is the treatment to which the 16-time champions have become accustomed, even after the worst two-year stretch in franchise history. There was, however, one key difference from past October visits to Sin City. The ubiquitous billboards showed Julius Randle with his hands on his hips, and D’Angelo Russell and Jordan Clarkson each positioned behind one of his shoulders. Kobe Bryant was not pictured. The decision to market three players whose future is entirely unknown rather than the 17-time All-Star with five championship rings could have been a practical one. In Bryant’s 20th season, there was no assurance that the 37-year-old would still be participating in exhibition games two weeks before the start of the regular season. However, the flashy ads of Randle, Russell and Clarkson also seemed to reflect an organizational transition that was most clearly expressed by General Manager Mitch Kupchak in February. “This team primarily has been Kobe’s team now for almost 18 or 20 years,” Kupchak said. “We’re much closer to the end of those 18, 20 years than we are to the middle or the beginning. That time may be upon the Lakers, even as Bryant gears up for what many expect will be his final NBA season. In their last round of roster cuts, the Lakers prioritized defense and mentorship over scoring and potential. Metta World Peace will stay with the Lakers, a second chance to revitalize his NBA career, pair up again with Kobe Bryant and spark nostalgia for his role in the franchise’s championship run in 2010. But the move came at the expense of 22-year-old Jabari Brown, a second-year guard facing his second consecutive roster cut with the Lakers despite showing intrigue with his athleticism and scoring. The 35-year-old World Peace has logged a 15-year NBA career that included a Defensive Player of the Year award (2004) and an NBA championship (2010). But World Peace has not played in the NBA since the Knicks waived him in 2013. He has spent the past year in overseas gigs in Italy and China. He averaged 3.6 points on 27.7 percent shooting and two rebounds in 12 minutes through seven exhibition games, a far cry from his NBA career averages of 13.8 points on 41.7 percent shooting and 4.7 rebounds in 33 minutes per contest. There's a wall at the Lakers' training facility filled with individual photographs of current players, each wood-and-glass frame almost three feet long and showing various action poses. Here's Kobe Bryant, about to set up in the post, a comfortable spot for him year after year, now 20 in all with the Lakers. Here's Julius Randle, driving hard to the basket, the image Lakers fans hope to see endlessly after his short-lived rookie season. Here's this year's top pick D'Angelo Russell, bringing the ball upcourt. And, of course, Coach Byron Scott, arms folded in a gray suit, looking intently toward the court. Phil Jackson used to be on these walls. Pau Gasol as well. Derek Fisher and Lamar Odom. Shaquille O'Neal may well have been up there too, though no one is quite sure. Those were the good old days, when seasons were deemed a success only if there were championship parades and goofy dances were part of the fun. These are the new days, the uncomfortable ones for the franchise, shut out of the playoffs the last two years and unsure what they have now. They have youth, they have experience, they have some stuff in between. What they can't have is a repeat of last season, a 21-61 endeavor that was the worst Lakers season of all time. There's optimism going into the season opener Wednesday against Minnesota. There always is for teams that can't sink much lower. The Lakers could not resist taking him with their No. 2 pick. Lakers coach Byron Scott has compared his on-court presence to Magic Johnson and Chris Paul. The Lakers believe he could become the franchise’s next cornerstone. But amid all that preseason hype, rookie point guard D’Angelo Russell enters the Lakers’ season opener against Minnesota on Wednesday at Staples Center without any assurances he will start. Russell admitted, “I have no idea” if he will start as he did in six of the Lakers’ eight exhibition games. But Russell has remained publicly deferential toward Scott about that. Instead, Russell and Scott ironed out on Sunday night something else about his role. Russell said it will also become easier after Scott outlined those expectations. If put together in the right way, there is plenty of room for the new (somewhat improved) roster. Strong leadership from veterans is important, and thankfully the Lakers haven’t forgotten about that. But if the young guys don’t get their shot to prove themselves, it’ll only hurt the team. It was just announced today by The LA Times that Metta World Peace will get a roster spot — this is good news heading into the game against the Timberwolves for a few reasons. First, it provides a sort of rebounding veteran. Aside from Kobe Bryant himself, World Peace is the next most-seasoned player they have available. While it’s clear that World Peace isn’t going to be a superstar kind of player — or even as important as someone like Paul Pierce will be with the Clippers — he’s important in the long-term game plan of LA. Or at least he should be. While season openers are always special, the 2009 edition went beyond that even before tipoff, as Kobe Bryant placed 14 white diamonds on his finger in the form of a championship ring for winning the previous year’s title. Even without Pau Gasol, who sat out with a hamstring strain, the emotions of Ring Night couldn’t weigh down the Lakers — especially Bryant, who torched the Clippers for 33 points in a 99-92 victory. 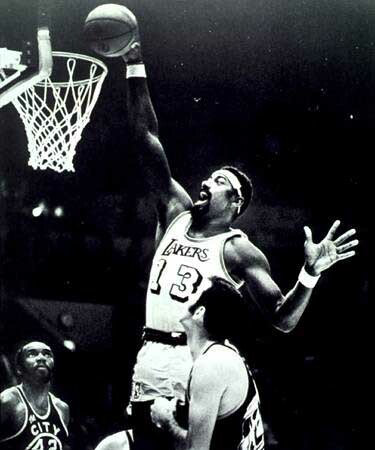 Playing under the Lakers’ newly unveiled 15th championship banner, the Lakers played like the back-to-back champs they would become that year. Bryant shot 11-of-26 from the field, while punishing the Clippers at the foul line (11-of-12). He also collected eight rebounds and swiped four steals. The Lakers blitzed their Staples Center neighbors early for a 10-point lead after one quarter, but the Clippers managed to hang around thanks to a 26-17 third quarter. Still, Bryant’s confidence in his title-winning squad didn’t waver. "I felt we had control of the game," Bryant told reporters, "even when it was a one-point game." Meanwhile, LA’s starting frontcourt, Andrew Bynum (26 points, 13 rebounds) and Lamar Odom (16 points, 13 rebounds), picked up the workload in Gasol’s absence. Andrew Bynum: 26 points and 13 rebounds. Wow, I forget how dominant he could be! Before that first initial injury... Bynum was dunking on everyone. Even Howard. He was on his way to becoming an absolute beast but then his knees completely gave out. The Lakers completed their exhibition season with three wins in eight tries, falling on Thursday to the Golden State Warriors, 136-97. Second-year guard Jordan Clarkson suffered a shoulder injury, but an MRI the following day showed it was not a serious concern. The Lakers would treat the shoulder conservatively leading up to the upcoming season opener on Wednesday against the Minnesota Timberwolves. Veteran guard Kobe Bryant remained sidelined with a bruised leg, but was able to return to practice over the weekend and is probable for the start of the season. The Lakers needed to cut the roster down to 15 players, first letting go of rookie forward Jonathan Holmes, followed by second-year guard Jabari Brown. Metta World Peace, the veteran forward who helped the Lakers win the title in 2010, made the squad after playing overseas last season. With 15 players on the roster, the Lakers are full of hope to start new season, but the picture isn't pretty. Coach Byron Scott still hasn't committed to starting rookie guard D'Angelo Russell. The Los Angeles Lakers today announced their participation in the 127th Rose Parade®, designing a float titled Every Second is an Adventure for the annual celebration. The theme of the float represents the importance of each moment in basketball, capturing the excitement of last-second shots and dramatic finishes Lakers fans have and will experience. Designed by Charles Meier and built by Paradiso Parade Floats, the show-stopping entry reflects the excitement and energy of the Lakers franchise. Framed inside of a gigantic Lakers logo, at the front of the float will ride special Lakers guests with a replica of the NBA championship trophy, while the Laker Girls will perform alongside the float. Centered on the float will be a ground-breaking, innovatively designed giant animated basketball that spins while circling a rim, recreating the moment of ultimate suspense in the final seconds of a closely contested basketball game. Adding to the excitement, real fireworks and a burst of streamers will be fired from the base of the hoop. The giant hoop will also have 16 stars encircling it to symbolize the organization’s championships, while the rear of the float will have 10 jerseys of Laker greats. Lastly, the shape of the rear platform is engineered in such a way to suggest rippling water, paying homage to the Lakers’ Minnesota origins. The Lakers start the 2015-16 regular season on Wednesday night against the Minnesota Timberwolves, with high hopes for an improved campaign after last year's 21-61 debacle. The team will also travel to play the Kings on Friday night in Sacramento, followed by a home battle against the Dallas Mavericks on Sunday. The Kings (29-53 last season) have improved over the summer, while the Mavericks (50-32) appear likely to take a sizable step backwards. Sadly, the Timberwolves are trying to regroup after the passing of Coach Flip Saunders, who also ran the team's front office and was a part owner of the franchise. The team will be coached instead by Sam Mitchell, who will bring a talented but young roster to play the Lakers on Wednesday. Forward/center Karl-Anthony Towns, the top overall pick in the 2015 NBA draft, is joined by guard/forward Andrew Wiggins, the top overall pick 2014. The Wolves have playoff aspirations, but they may find they're not quite ready to make that leap yet. The Lakers have a similar issue. The return of Kobe Bryant, who missed most of the last two seasons with knee and shoulder injuries, should help the Lakers give a good showing in their home opener. Lakers Coach Byron Scott hasn't committed to starting rookie point guard D'Angelo Russell, taken with the team's second overall pick in the 2015 NBA draft. That's not the only rotation question he's facing. On Monday, Scott indicated that he'd like to play nine to 10 players on a regular basis. The starters will be Kobe Bryant, Jordan Clarkson, Julius Randle and Roy Hibbert. If Russell does play with the starting group, look for the Lakers to back him up with rookie Marcelo Huertas. Scorers Lou Williams and Nick Young will back up Clarkson and Bryant. Scott may not go with centers Tarik Black and Robert Sacre behind Hibbert, choosing instead to go with a frontcourt pairing of Brandon Bass and Ryan Kelly, both of whom have traditionally played power forward. "I love the way Ryan played the whole preseason," Scott said after practice on Monday. "I think he had one bad game and that was the second game against Utah. "Other than that, he was aggressive, made shots, was blocking shots. He did a lot of good things for us on both ends." Scott likes the offensive potential with an undersized Bass at center. Andrew Bynum: 26 points and 13 rebounds. Wow, I forget how dominant he could be!